Kylie Bridger is a Product Development Manager who designs Huggies nappies. She makes sure babies are comfortable and dry, and importantly, helps the Mums and Dads of Australia get a better night’s sleep. Kylie believes it’s essential to keep the consumer at the heart of everything she does, and so consumer research is one of the most important, and interesting, aspects of her role. 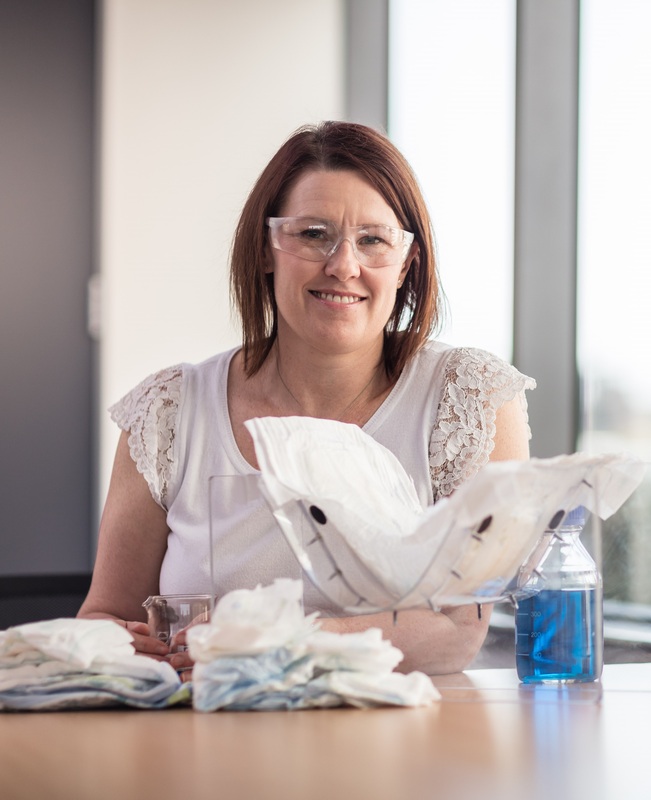 Kylie has worked on many nappy innovations, including a 3D liner that was developed in Australia in conjunction with Textor, an Australian owned textile company, and the CSIRO, and that has now been adopted in nappies around the world. Kylie holds a Bachelor of Science (Honours) in Textile Management from the University of New South Wales (1999) and is proud to have been recognised by her employer as an Asia Pacific Role Model for the positive behaviours she demonstrates at work. When Kylie isn’t designing nappies, she spends her time practicing yoga poses, growing vegetables in the garden and trying to keep up with her two sons.